There are always going to be several design options for every piece. Our experienced designers will be able to assist you in choosing the perfect one for you. You will be able to choose from a wide variety of materials including traditional Acid Free matting and wood and metal mouldings. 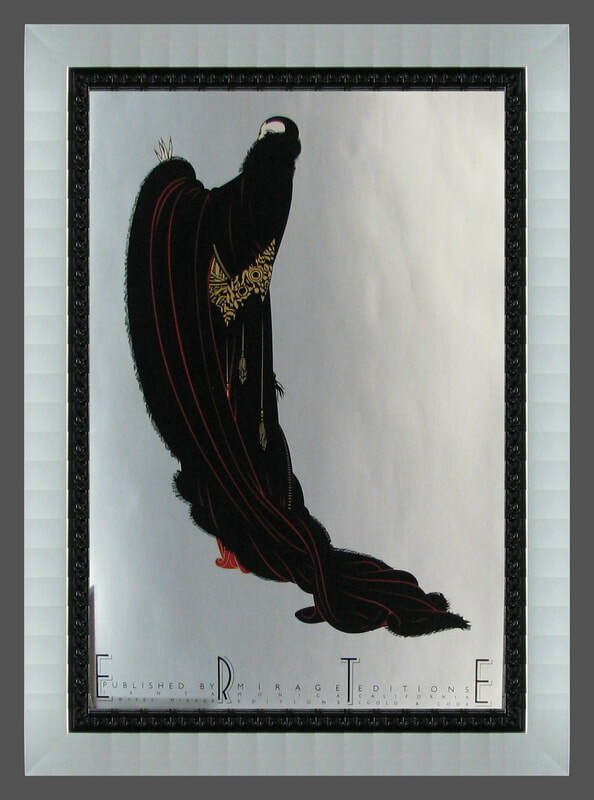 Specialty mats such as suede, fabric, metallic and a wide variety of fabric can also be chosen to wrap mats. Frames in various sizes and styles can be used alone, with mats, stacked or with fillets. We have 7,000 frame samples from which to choose. Color, size, genre, and display area are just some of the things taken into consideration. 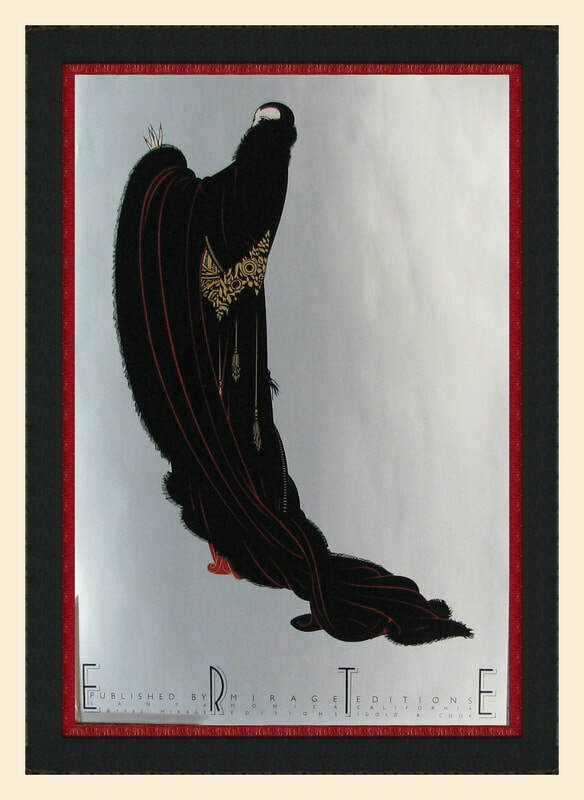 We also have an amazing selection of prints to choose from like the Erte above which features 3 different stacked frame options. Our Picture It First camera system was used for these examples.